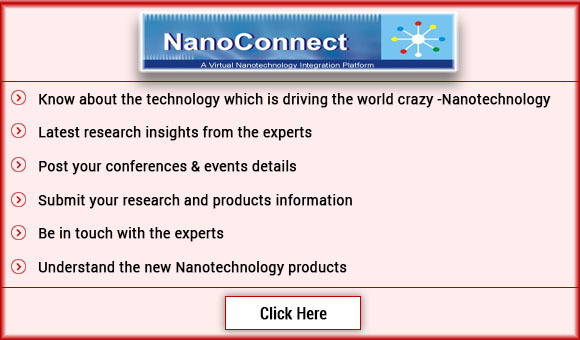 Reinste Nano Ventures emphases the significance of purest Nanomaterials with uniform composition free from any adulterants for class research and production purposes. In Reinste Nano ventures we ardently believe that innovation and differentiation are the fundamental components of growth and enlightenment of any organization. With a portfolio of products catering to the needs of almost all scientific research communities in Nanotechnology sphere, we help our customers by delivering the most pertinent products with the assurance of quality. We rejoice in the fact that our products and services add values to our customers and in progression we build a priceless relationship of eminence with precision. Thus, together with researchers across the world, we create a conducive platform for growth and partnering in era of nano-revolution by providing the best of materials, technologies and knowhow available to our clients. After 30th June'2017 GST TAX value would be applicable on all Invoices. GSTIN No, PAN No, TAN No.